On the Chinese side of the China-Russia-North Korea border, in the Yanbian, Korean Autonomous Prefecture, Ku-Nam toils his days away as a taxi driver. When he's not working he's often found in the gambling halls. Ku-Nam is now in serious debt. His wife left to work in South Korea and promised to send money back. He has yet to hear from her and he is tormented by nightmares of her having an extra-marital affair. Making matters worse, Ku-Nam is fired from his job and debt-collectors take most of his severence pay. Dog seller and underworld crime boss Myung-Ga offers him a deal. If Ku-Nam goes to South Korea and successfully carries out a hit he will get paid Â¥57,000 ($10,000 USD). Ku-Nam accepts the deal and leaves for Korea on a rickety fishing boat with $500 dollars for his expenses. When Ku-Nam arrives in South Korea he carefully scopes out his target for days, while also searching for his wife. When the time arrives for Ku-Nam to take out his target, a string of unexpected events occurs leaving Ku-Nam desperately looking for a way out. Meanwhile, the cops, Korean mafia, and the Chinese mafia all frantically search for Ku- Nam. 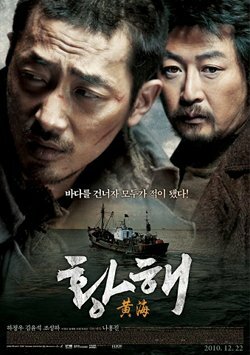 This is a little hard to review and even rate but let me try to start with a meaningful sentence: The Yellow Sea is a remarkable Korean Thriller. This film is written and directed by Na Hong Jin, the maker and the co-writer of the mega-successful thriller “The Chaser”; he even brought back the two main leads from the 2008 film. I am slowly becoming a fan of the director and I will eventually watch everything he did or will do. So let’s talk about the film; it’s practically a wronged-man thriller style of story. There’s also a slice of the Korean life and society displayed in moderate amounts. For starters, the title “The Yellow Sea” is the passage between eastern China and western Korea peninsula which leads us to “Joseon tribes” the Korean people who settled in eastern border between China and Korea after the World War II, they have closer relationship with North Korea but they often immigrate to South Korea due to the growing economy. Joseon clan people are unwanted by everyone, they’re poor, desperate and often viewed as criminals and thugs. Our two main leads belong to those people. The story of the film is engaging with lots of suspense and intriguing questions that will be answered in the most unexpected ways. The storytelling is divided into four major segments that narrate the protagonist’s life in details. On one hand, the first two parts were a set up to explain the characters, the main event and the motives but it also throws little hints. On the other hand, the last two parts contained more complications and excessive speedy events. I must admit that I enjoyed the latter half better; it’s not that the first half wasn’t interesting but the second part outclasses it. The Yellow Sea is a violent film with gory scenes and bloody killings; there are explicit cutting scenes but for me, it wasn’t extreme gore. It’s at the same level as “The Chaser” and “The Man from Nowhere” and falls a little behind compared to “I Saw the Devil”. But that’s a bit insignificant, what really matters in this film are the exciting chasing scenes, the survival spirit and the suspense to find the truth. Now if I have to list the shortcomings, I will only mention the exaggerated length that bothered me. Two hours and a half is overlong, I would’ve given this an easy 9 if it was a little shorter. 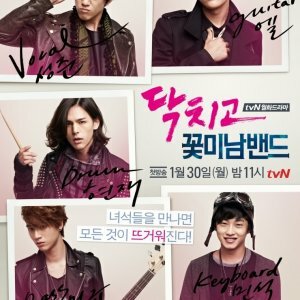 As I mentioned above, the main actors are the ones from “The Chaser” with reversed roles. 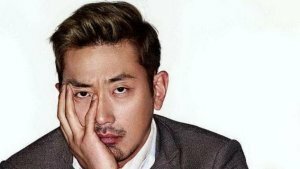 It’s no secret that Ha Jung Woo is my favorite young Korean actor, the man is so suited for big screen acting and he keeps drawing me in each time I see him. And what makes me appreciate him even more is the fact that he knows how to choose great roles. Then there’s Kim Yoon Suk a veteran Korean films’ star that knows how to make his character feel so vivid and alive. The acting department is simply top-notch; everyone did what they had to do. The characters, on the other hand, are hateful; there’s no hero here. Our protagonist is not a saint, he makes many immoral decisions and floats between the good and the bad sides but that doesn’t really matter because you will find yourself rooting for him to reach the end line, the guy is a freaking survival machine. As for the villain, he is one of the best I ever saw; he’s vivid, smart and strong. He makes you thrilled every time he appears on screen. The rest of the characters will make you feel unsympathetic towards them but they add a great taste to the story. The cinematography is intense, dark, amazing and most of all very well fitting. But the camerawork troubled me a little in some of the chasing scenes where Na Hong Jin decided to use the “unsteady camera” technique; those scenes were an uneasy watch to be honest. 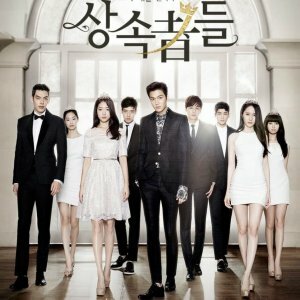 -You admire Korean thrillers because this is one of the best. -You like the director and the main cast. -You dislike gory films but this isn’t excessively bloody. -You’re looking for an easy watch. The Yellow Sea is an interesting view of some of the Korean society slices mixed with suspense and crime. It’s absolutely one of the better Korean thrillers. Director Na Hong-jin, known for his mindblowing action thriller THE CHASER, returns with THE YELLOW SEA, another action thriller but with a lot of difference as well as excellence. Starring Ha Jung-woo and Kim Yoon-seok, it's a film every cinema enthusiast should watch. It's a masterpiece by all means and a film which isn't just a film but something more than that. THE YELLOW SEA is a film which presents human emotions in a very realistic manner. Ha Jung-woo is so excellent as Gu-nam that you'll definitely root for him. Kim Yoon-seok is very impressive as usual, and leaves and impact like the former. Rest of the cast is impressive as well. The character development is what needs to be praised. It's so good that you feel like you know the characters fully, and eventually you manage to develop a psychological relation with them, especially Gu-nam played by Ha Jung-woo. The film's biggest strength is the screenplay itself, as it contains all other brilliant elements a film of this genre needs. The cinematography is excellent and captures the journey of the characters very well. The action sequences are: extremely mindblowing and spellbinding! And due to this, they deserve a repeated watch. 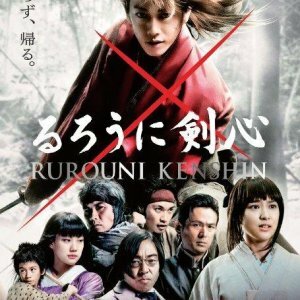 The editing is excellent, and I recommend you to watch the director's cut as it has a lot of depth. Can't say about the other version because I haven't seen that, but the director's cut being an amazing one is, I feel, better to watch. The emotions are very well brought out on screen. The film is exactly what you can expect from a South Korean filmmaker. It's emotional, thrilling, violent, action packed and what not. It has everything to keep you hooked to the edge of the seat. There's not even a single dull moment and the film is very enjoyable despite of being quite dark as well. THE YELLOW SEA is a perfect action thriller which shows what South Korean filmmakers are capable of. Definitely, with films of this kind, they will earn more respect in the eyes of viewers. Highly recommended!